Thank you for visiting our website. We're a small trust dedicated to preserving endangered species and defending the habitats that are essential to their survival. Our Trust is also involved with the Jersey Bat Group in the island of Jersey, UK, where we have put up around 100 bat boxes in the island's woodlands in an effort to learn more about our local bats. 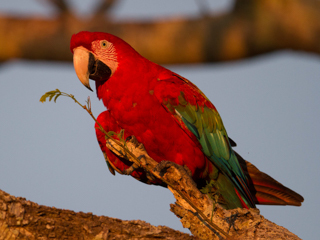 We have several photo galleries that we hope you will look at including 'Birds of Ibera', Mammals of Ibera, Bat ID, 'Reptiles of Ibera', 'Endangered Species', 'Fauna of Iguazu' amongst others. The summer is currently hot though with some rain which may become more of a factor in Jan/Feb/Mar due to El Nino conditions. 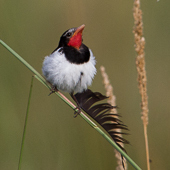 There are many Strange-tailed Tyrants this year and the juveniles are flying. The photo at the top of the page is a male Strange-tailed Tyrant. 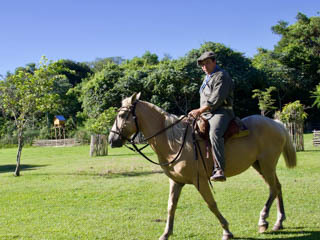 We have an army of Capybaras in our garden and sometimes you can see 50 plus during the nighttime. Even during the day there are usually several around. 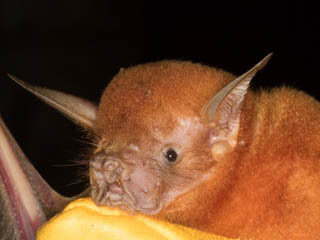 Our main project at the moment is studying the bats of Corrientes and Misiones. We have a great bat team that can assemble at short notice to go to a reserve to find a species of bat. We use nets and Harp traps and have the authority of Parques y Reservas, Corrientes, Recursos Naturales, Corrientes and recently the Ministerio de Ecologio de Misiones. Currently we know of 14 definite bat species at the reserve which we have processed through capture and release. For more information please look at our page on Bats of Ibera. 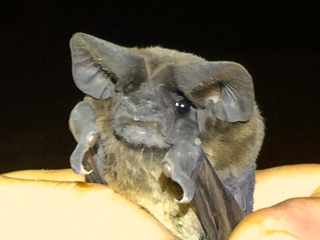 There is no official bat call library in Argentina so we are creating our own and so far have identified 16 different species from our recordings, some of which are relatively unknown here.The following bats were captured, measured, photographed and recorded before release: - Molossops temminckii. Eumops patagonicus, Molossus rufus, Lasiurus ega, Lasiurus blossevillii, Eptesicus furinalis, Eptesicus brasiliensis, Myotis nigricans, Myotis riparius, Desmodus rotundus, Sturnira lilium, Platyrrhinus lineatus and Eumops bonariensis. Finally we feel we are making some progress toward identifying our bat species in a country in which they generally persecute these specialised mammals. See the bats that we have identified on our Mammals of Ibera page. We never harm any bat that is captured and it is usually released within 20 minutes. We would never kill any mamal for research. Although we have not yet caught this beautiful bat at the reserve, (this one was caught in another province) we frequently hear it on our detectors. This is the second largest wetland in South America and is renowned for its biodiversity, in particular amongst the bird species. We have several endangered species at our reserve including the Maned Wolf, Marsh Deer, Neotropical Otter, Strange-tailed Tyrant, Marsh Seedeater, Greater Rhea and Ochre-breasted Pipit. We are constantly adding new papers to our page Scientific Reports. This is very much a live site, with new content and photographs being added constantly.